Did you get your Block 1 finished yet? I know some of you did. I know some of you are very close to finished. And just in time . . . because here’s Block 2! 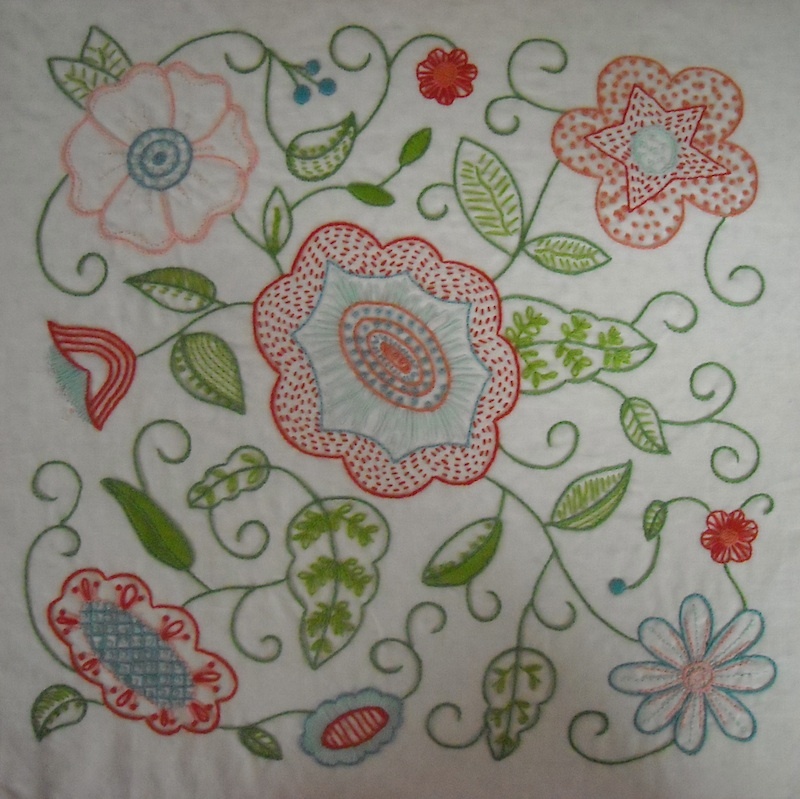 For the plain version, I used just one color of thread, three strands of floss (you’ll need at least 2 skeins), and used only two stitches: Outline Stitch and French Knots (see links below for help with these stitches). And remember, you do not have to use the same stitches and fills that I did. Get creative, and do whatever you’re comfortable with. On the printed pattern, you will see black lines and red lines, just like last time. If you’re doing the plain version, you’ll only need the black lines. And I’ll be back sometime next week (or thereabouts) with the bonus project for Block 2. Stay tuned! Thanks, Shelly! I haven’t finished block 1…no progress since I posted it. School is getting in the way! 😉 Maybe this weekend I can finish it! 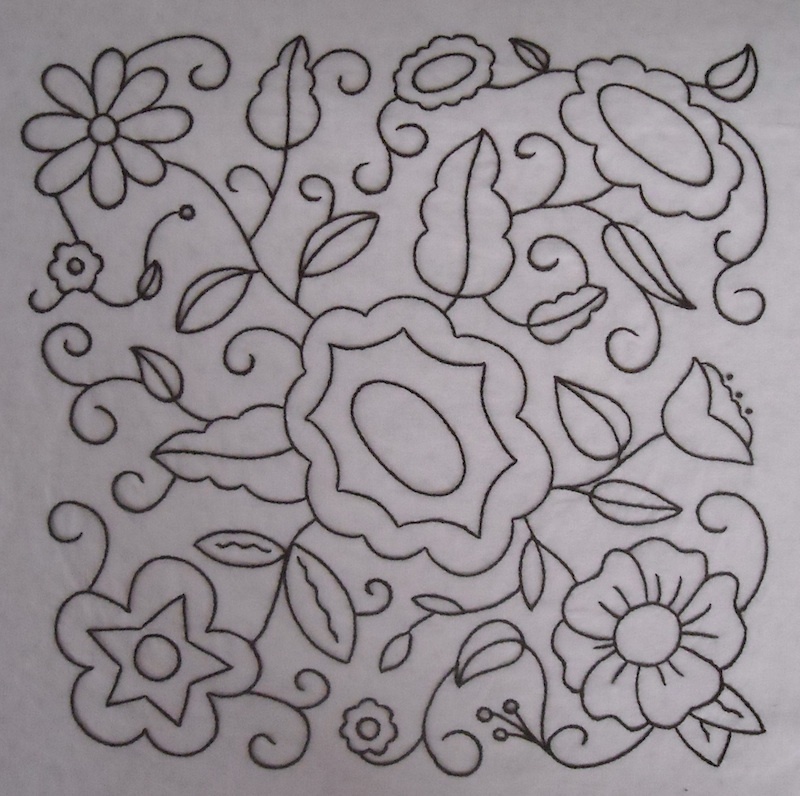 I have block one traced out, thread bought and no progress yet. I can’t think what has interfered………….maybe the quilt show at the Cornfest, a quilt program in Memphis and a car wreck on the way home……and then there is work and church and a sick husband. What else could I have juggled? Thanks for these lovely designs. I have them in my “to do” box. I especially like that you are giving us alternate ways to use these beauties.